Today’s chapter about chapters having errors it’s as the site is being overloaded as we are in the midst of server upgrades. If possible please add this to your Novel Updates Reading List do leave a review as well. The slightly crowded area was suddenly empty as Zou Liang’s surroundings dispersed, creating a path towards the combat arena. The name “Zou Liang” was too much of a tongue twister, and people preferred to call him The Beast God Martial Artist Asura—or just Asura—instead. The fight where Zou Liang had killed Andongni-Lika had become a sensation, arousing a great amount of interest from each city’s current generation of youths. It was not just the Asura’s arrogant title, but also his store of Beast Spirit. Everyone knew that he had won a lot of matches yet had not created a single piece of armour; if someone could beat him, the reward would be abundant, to say nothing of the prominent mark to their list of achievements. It didn’t matter if he was actually a Beast God Martial Artist or not; anyone in the Beast Spirit World strong enough to have a title would have some kind of specialty. Zou Liang could sense the reverence in these warriors’ eyes, completely different from the first time he had come to the Among De Beast God continent. To go up or not? Seeing the path to the battle arena, Zou Liang strutted through. This kind of feeling was a marvelous one that no man could refuse. An impulse surged through him. Most importantly, he couldn’t die anyway, so Zou Liang played up the part of being a hero! If the gazes of the crowd were disregarded, Zou Liang really did have the air of a hero. Recalling back to the time where he had attended the fighting game competitions, the more people there had been, the more excited he would become and the more he would want display everything his bones1 could muster. Come! He awaited his opponent! With Zou Liang like this, there would no longer be any more idiots thinking he was just a free dish of meat. Whether or not they actually knew of his reputation, seeing everyone present being so cautious would cause them to make assumptions as to the other’s strength; it would be much harder for someone to go up by mistake. As soon as someone showed they had the ability, they would quickly become renowned and even be mentioned in records. During the period of the Spring Festival, the number of experts appearing would also increase. They were youths who had an entire set of plain grade armour with complete attribute numbers, undoubtedly famous figures of large cities that would be recognised by others as the elite among the elite. The so-called “complete attribute numbers” was a set of plain grade armour: Helmet 1~3, Armour 1~5, Bracer 1~3, Shield 1~5, and Weapon 1~5. To have complete attribute numbers, not only did they have to accumulate enough Beast Spirit, but they would also need to prepare a Spirit Engraving Master with enough ability for the task. A normal Spirit Engraving Master that could create complete attribute plain grade equipment would still require an above-average success rate for this, and it would still be hard to create an entire set where every piece of equipment had complete attribute numbers. Those that could obtain this set would have to be very capable in both internal and external matters. Buaina from Kelong City of the Holy Province. Fu Ke Si tribe. Plain grade equipment with complete attribute numbers. Occupation: Shadow Hunter. He was a member of the Shadow Hunter Guild and friends with the crafty fox Andongni-Lika; the rumors of Andongni-Lika being defeated by Asura had produced a great interest to him. Sheng Feibo from Sheng Yuehan City of the Holy Province, a favoured city of the Beast God. Yi Ge Eagle tribe. Occupation: Archer. He was a primarily groomed youth of the Archer Guild, complete with the best quality 1~6 Attack bow which would make any archer salivate. “Could it be that he tried to find an excuse for himself? Isn’t that what the fox tribe excels in?” Sheng Feibo snidely remarked from the side. Even though the Yi Ge eagle tribe was a small tribe, they would often produce an outstanding Archer which people would spend great amounts of power and influence to draw to their side. “If you’re not pleased, then go duel him!” Buaina took a glance at the opponent. “Whatever. Do you think I would be scared of you? Whether the opponent’s a Shadow Hunter or an Archer, it all depends on who the opponent is!” Sheng Feibo sneered without fear. He was an archer of one of the few smaller tribes, and as someone from the eagle tribe his attacks had a lot more Defence Piercing. If this extra point in attack was able to be displayed properly, it didn’t matter whether the opponent managed to block it with a shield; it would still cause a wound. “Hehe, what Golden Lion? I’m the same as you guys: nothing more than plain grade. My luck is pretty good to meet the man from the rumors, and from what I can see the only people with ability here are us three. If you two are going to be modest, then you can give this opportunity to me,” Mofei laughed, his words full of confidence as though he had already started his attack. The three’s situation was very similar to Zou Liang, and when they arrived the surrounding warriors would open up a space for them. Since they had already come and Zou Liang had walked up to the arena to provoke the surrounding people, if they still did not go up it meant they were too timid to fight. If the opponent’s ability was too high above theirs then it would be dismissed, but to shrink away from a person who had not even achieved Armour Transformation or Beast Transformation would not be good for their reputation. Reputation was to beast tribes what feathers were to eagles: everyone treasured them. “Shadow Hunter business should be concluded by a Shadow Hunter; I’ll go!” Buaina slowly spoke, wishing to get revenge for his friend. Naturally, he could not allow this situation to be stolen away from him, for if this dish of meat was actually defeated then he would lose his opportunity. 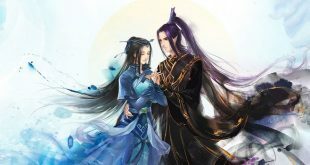 He also knew the abilities of the other two as people of outstanding talent within this generation, especially that Mofei. Sheng Feibo suggested, his mouth curling with the characteristic pride of an eagle, his hooked nose proudly raised. They would not retract their haughtiness even while fighting a Lai Yin tribe member, and even if they were fighting a member from the larger Bisi Mai swan tribe, they would still be a force to be reckoned with. “To fly is a gift that the Beast God had bestowed upon us; you can only be envious, jealous, and hateful,” Sheng Feibo impolitely opposed. In the beast tribes’ younger generation, no one admired any other. Shrinking back was considered a disgrace, making humbleness much less common. Buaina coldly harrumphed. Sheng Feibo paid no further attention and took large steps forward; he needed to show off his battle prowess in front of this person titled “The Golden Lion”.